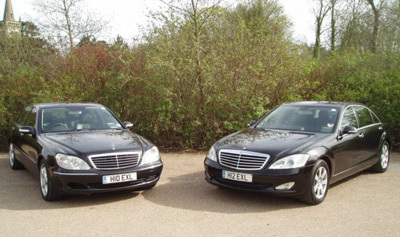 For over 20 years Excel Executive Chauffeurs have been providing professional chauffeuring services across Newbury, Thatcham, Hungerford and further afield. We offer a wide range of luxury transport solutions from executive chauffeur hire and wedding vehicle hire to airport transfers. We aim to provide our clients with that little bit extra to make sure that their executive travel experience more than exceeds their expectations. Our luxury chauffeur hire service is available for a wide range of uses, from corporate events to, sporting events, executive business meetings and much more. For your convenience we operate 24 hour phones, e-mail facility, corporate and customer accounts as well as offering credit card payments. All our vehicles and drivers are licenced by West Berkshire council ensuring that all vehicles are roadworthy and that all drivers are suitable including undertaking a police criminal record check & full medical. Having over 20 years of experience with the chauffeuring sector, many of our drivers are members of the Institute of Advanced Motorists as well as the British Chauffeurs Guild which is the UK’s gold standard for Chauffeuring services. As the leading executive chauffeur service in Newbury, Thatcham & Hungerford, we will surpass every exception by delivering the best in executive travel. For more information, please call us on +44 (0) 1635 45964 or +44 (0) 7774 665544.